To be slightly ahead of your time is exciting, for you get the opportunity to see the world change into your vision of it; but to be far in advance of your time leaves you lonely and miserable. This was the unhappy position Mary Wollstonecraft found herself in. Born in England in 1759, Wollstonecraft grew up to become a republican inspired by Rousseau and the French Revolution, and a feminist. Wollstonecraft worked across genres, though. She also wrote two novels which depicted the cruelty of unequal marriages, a book of children’s stories in which she preached middle-class and Enlightenment virtues such as thrift, education and rationality; and also published her letters from her travels in Scandinavia, which are excerpted below. As with much of her other work, Wollstonecraft’s letters are imbued with her thoughts on politics, education and social refinement. Her letters do contain some description of natural beauty, but they are far more preoccupied with the people she encounters. These complaints are more personal than clinical, but never quite descend into whining. The letters are filled instead with a quiet—and very moving—loneliness and melancholy. There was a happy sequel to these melancholy letters though. Reading them after they were published, the anarchist philosopher William Godwin became a fan of Wollstonecraft, and then fell in love with her. They married, and lived in adjoining houses to maintain their independence. Tragically, the happiness did not last long. 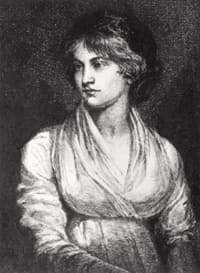 While giving birth to their daughter Mary Wollstonecraft Godwin—who would grow up to write Frankenstein—Wollstonecraft contracted septicaemia, and died 10 days later. She remained reviled after her death, until her books returned to prominence a century later. Letters on Sweden, Norway and Denmark is in the public domain and can be downloaded from Google Books, Project Gutenberg or Amazon for free. My attention was particularly directed to the lighthouse, and you can scarcely imagine with what anxiety I watched two long hours for a boat to emancipate me; still no one appeared. Every cloud that flitted on the horizon was hailed as a liberator, till approaching nearer, like most of the prospects sketched by hope, it dissolved under the eye into disappointment. Weary of expectation, I then began to converse with the captain on the subject, and from the tenor of the information my questions drew forth I soon concluded that if I waited for a boat I had little chance of getting on shore at this place. Despotism, as is usually the case, I found had here cramped the industry of man. The pilots being paid by the king, and scantily, they will not run into any danger, or even quit their hovels, if they can possibly avoid it, only to fulfil what is termed their duty. How different is it on the English coast, where, in the most stormy weather, boats immediately hail you, brought out by the expectation of extraordinary profit. Health and idleness will always account for promiscuous amours; and in some degree I term every person idle, the exercise of whose mind does not bear some proportion to that of the body. The Swedish ladies exercise neither sufficiently; of course, grow very fat at an early age; and when they have not this downy appearance, a comfortable idea, you will say, in a cold climate, they are not remarkable for fine forms. They have, however, mostly fine complexions; but indolence makes the lily soon displace the rose. The quantity of coffee, spices, and other things of that kind, with want of care, almost universally spoil their teeth, which contrast but ill with their ruby lips. … everything seems to suggest that the prince really cherishes the laudable ambition of fulfilling the duties of his station… The happiness of the people is a substantial eulogium; and, from all I can gather, the inhabitants of Denmark and Norway are the least oppressed people of Europe. The press is free. They translate any of the French publications of the day, deliver their opinion on the subject, and discuss those it leads to with great freedom, and without fearing to displease the Government. On the subject of religion they are likewise becoming tolerant, at least, and perhaps have advanced a step further in free-thinking. One writer has ventured to deny the divinity of Jesus Christ, and to question the necessity or utility of the Christian system, without being considered universally as a monster, which would have been the case a few years ago. Christiania is a clean, neat city; but it has none of the graces of architecture, which ought to keep pace with the refining manners of a people—or the outside of a house will disgrace the inside, giving the beholder an idea of overgrown wealth devoid of taste. 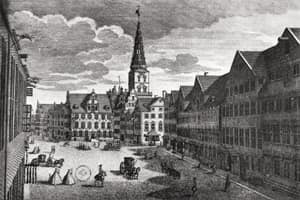 Large square wooden houses offend the eye, displaying more than Gothic barbarism. Huge Gothic piles, indeed, exhibit a characteristic sublimity, and a wildness of fancy peculiar to the period when they were erected; but size, without grandeur or elegance, has an emphatical stamp of meanness, of poverty of conception, which only a commercial spirit could give. The Swedes are in general attached to their families, yet a divorce may be obtained by either party on proving the infidelity of the other or acknowledging it themselves. The women do not often recur to this equal privilege, for they either retaliate on their husbands by following their own devices or sink into the merest domestic drudges, worn down by tyranny to servile submission. Do not term me severe if I add, that after youth is flown the husband becomes a sot, and the wife amuses herself by scolding her servants. In fact, what is to be expected in any country where taste and cultivation of mind do not supply the place of youthful beauty and animal spirits? Affection requires a firmer foundation than sympathy, and few people have a principle of action sufficiently stable to produce rectitude of feeling; for in spite of all the arguments I have heard to justify deviations from duty, I am persuaded that even the most spontaneous sensations are more under the direction of principle than weak people are willing to allow.